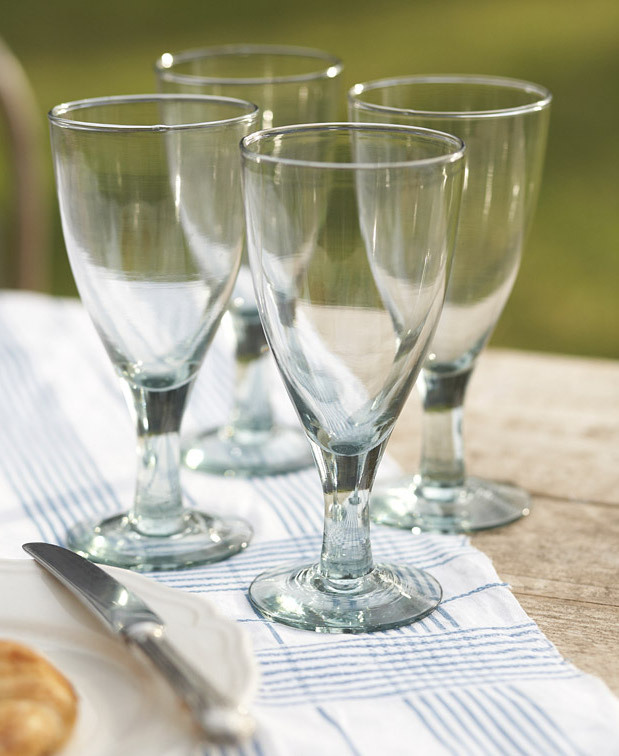 Make sure your parties go with a swing with our large recycled clear (green) glass wine glasses. 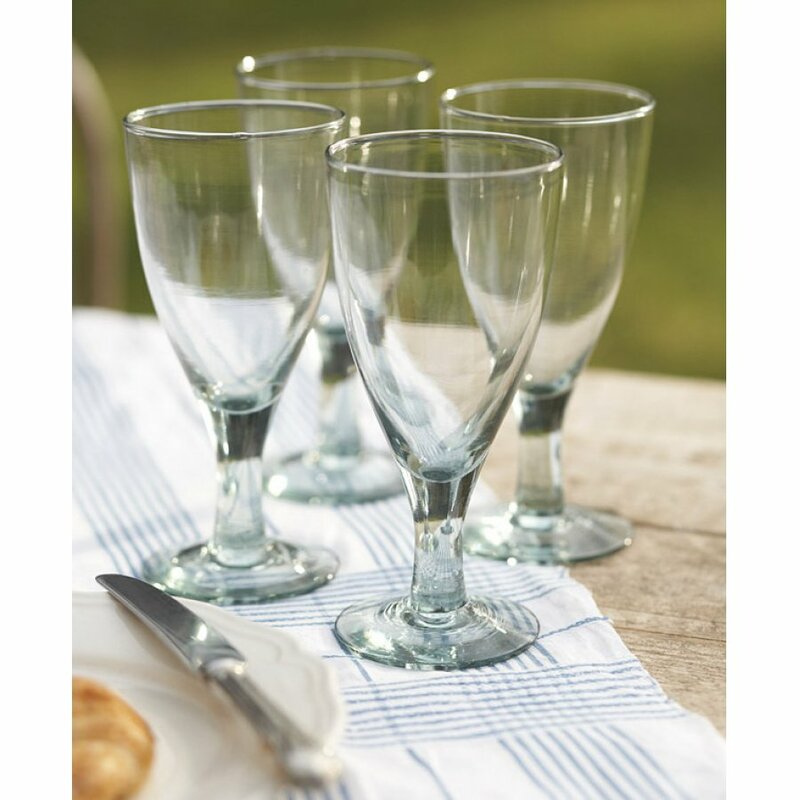 A gift that will be welcomed by by any wine lover, ideal for serving up any beverage from fresh juices to some of our wide range of fair trade and organic wines The glasses measure 18cm, hold 250ml and are completely dishwasher safe. 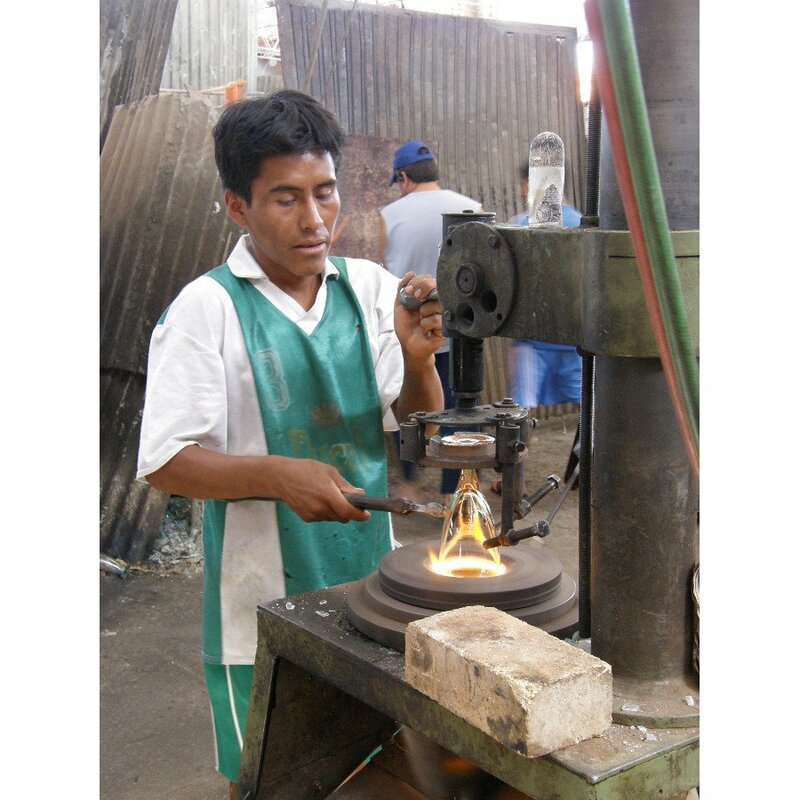 Made by a family run business in Cochambamba, Bolivia, which provides employment for many, and helps the glass recycling effort in the region. 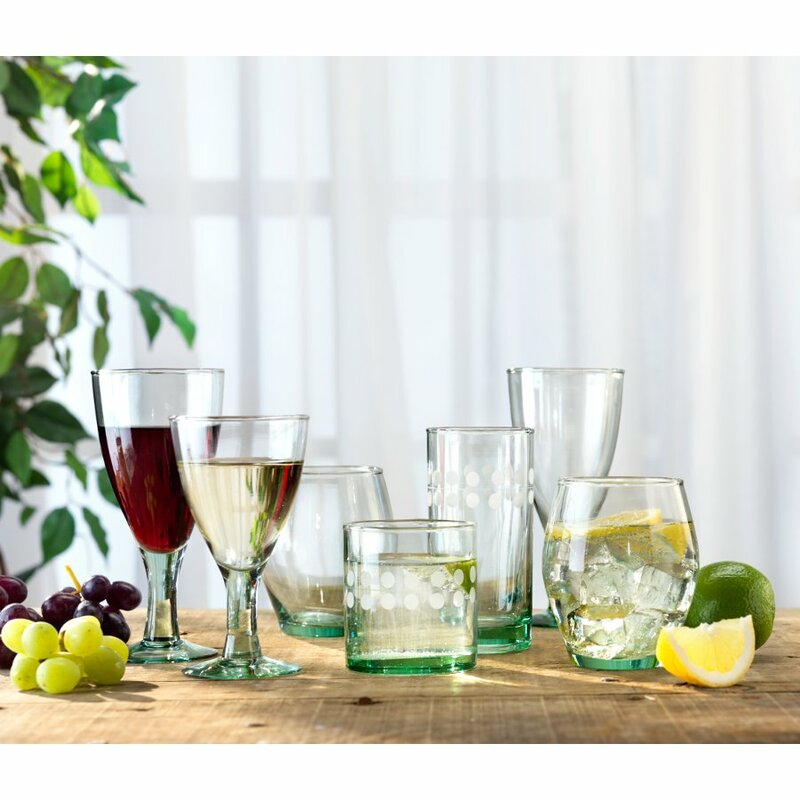 The Recycled Large Wine Glasses - Set of 4 product ethics are indicated below. To learn more about these product ethics and to see related products, follow the links below. 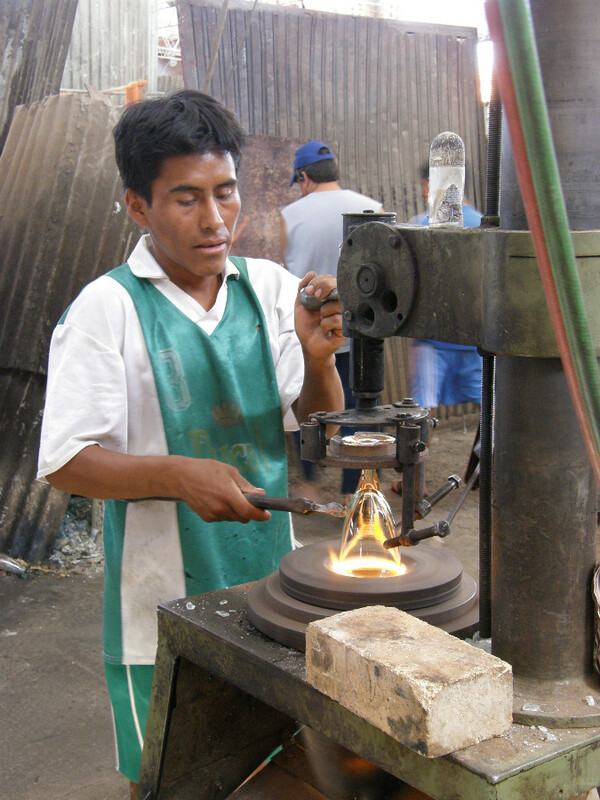 Ethically produced product received in excellent condition. Very happy with these good looking glasses. Nice and sturdy they hold a lot so less refilling of glasses is required.Much better than those thin glasses which are easily broken. Q: What size are the glasses ? hieght and width thanks. A: Hi, these glasses are 18cm in height and approximately 9cm wide. Robyn. 13 out of 14 found this question and answer helpful. Q: what capacity do these glasses hold? 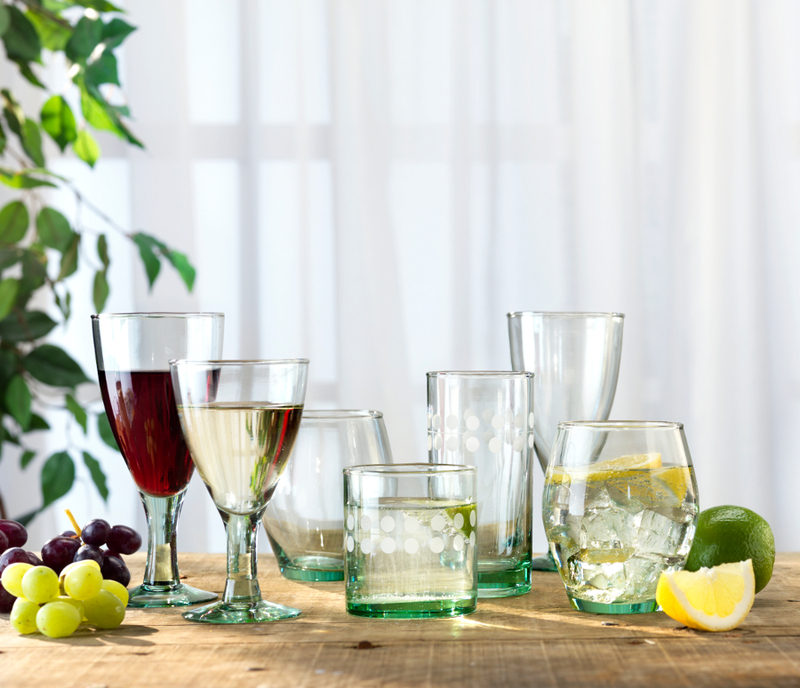 A: Hi, these glasses will hold 340ml each. Robyn.